Simple algorithms to determine when to buy, when to sell and when to get “squared”. 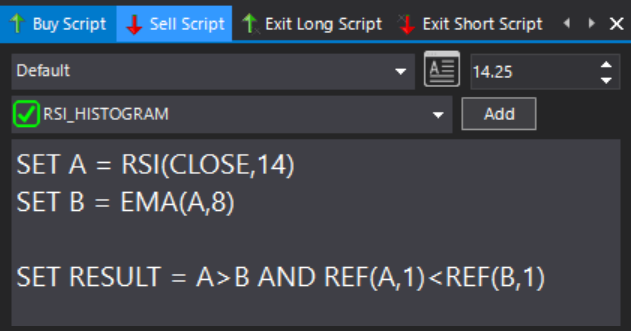 Scripts can be set independently to enter or exit long or short positions. There is no limitation regarding the complexity of the scripts. Alerts can be ran in “Back-test” or “Live” mode. You would typically run a few tests to convince yourself of the worthiness of your scripts and algorithms before choosing to trade them live. 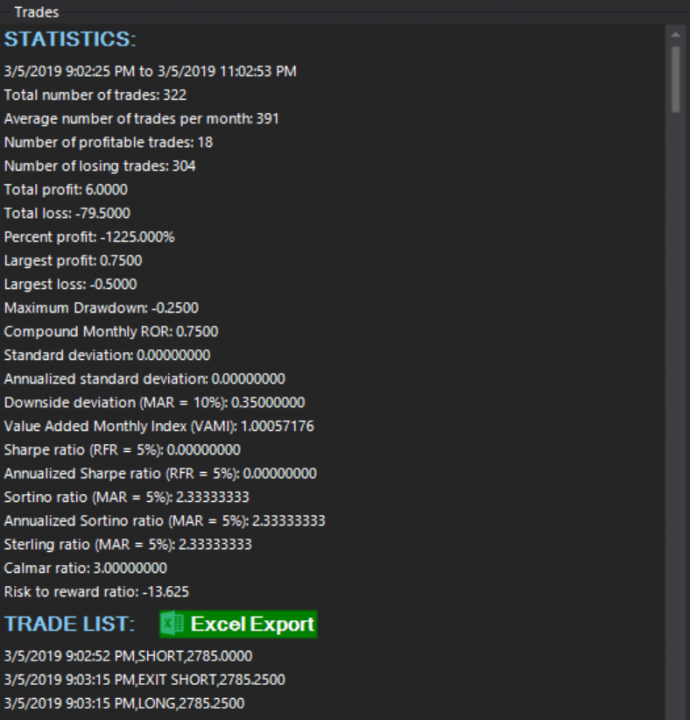 All trades are recorded and can be exported to a CSV file. Popular performance ratios are automatically calculated. The auto-trading function can be activated with a single click. 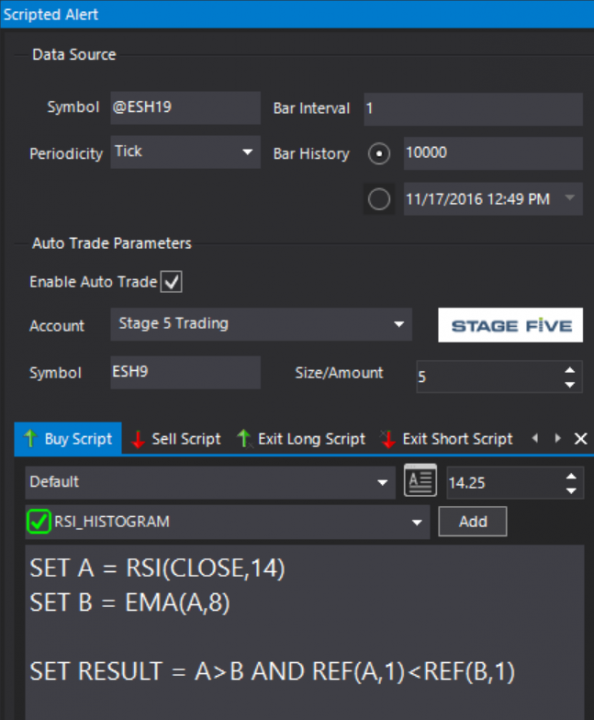 When it is turned on, upon buy and sell scripts being fulfilled, market orders are posted for the selected trade size to the brokerage account of your choosing. The Scripted Alerts module is a multi-instance module whose connectivity is set at the instance level. 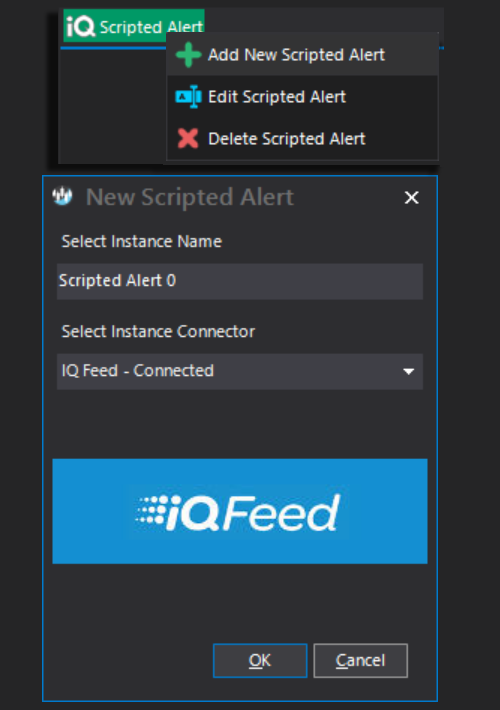 You can open as many Scripted Alerts instances as you want and you can connect them to any one of the enabled and connected data feeds you have access to. This is a function of the S-Trader edition you choose.